Agden, Christmas 2010. Photo by a kind passer-by. Dylan and I are in the habit of going for a ‘big walk’ on Christmas Day. 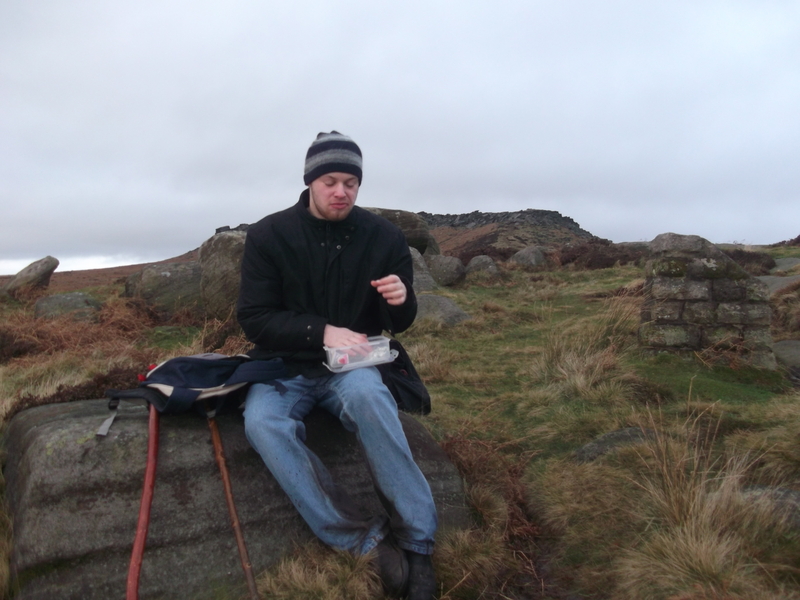 We usually take a picnic lunch and head somewhere familiar; here we are by Agden reservoir in 2010 and on Back Tor in 2011. On Christmas morning this year I was setting out things for our backpacks, wondering where we might walk, when I noticed Dylan had removed the map from the pile. I retrieved it, only for him to remove it again. Dylan and I don’t usually walk with a map as we know the Peak District National Park, which we live close to, pretty well. 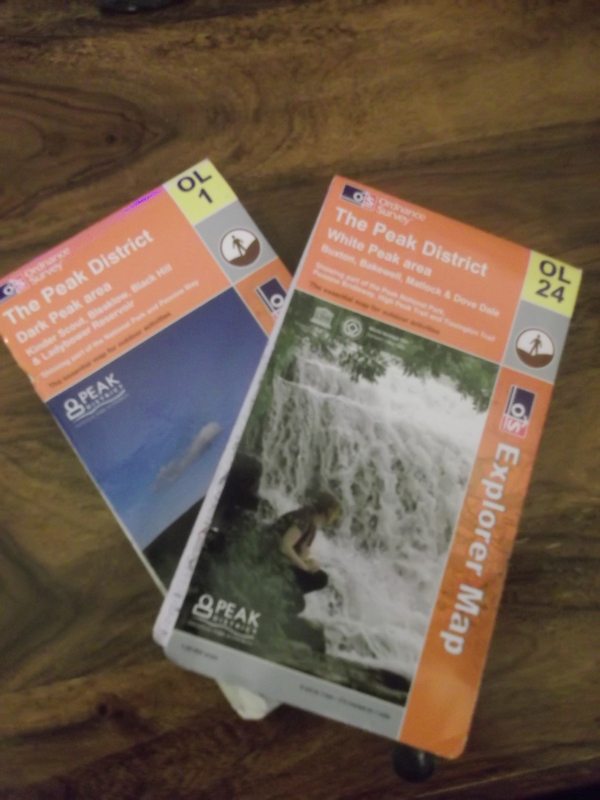 The Peak District is divided into two Peaks, the white and the dark, and we have OS maps for both. While I sometimes check one of the maps when we return from a walk, I’m not in the habit of taking them with us as we usually know exactly where we are going. So why did I want to take a map this Christmas? Recently I’ve been looking to extend our repertoire of walks. Although Dylan and I have in our heads walks of all lengths and levels (and for all moods, weathers and occasions) Dylan also has expectations about these walks in terms of routines which must be followed. This might mean pausing at a particular bridge, walking around a specific tree, or always taking a left fork. Although Dylan’s commitment to ritual is comforting in its familiarity and mostly I enjoy it, there are times when the rigidity is limiting. There is a walk up a local valley, for example, where Dylan insists we return by the road instead of through the woods because the first time we ever walked that way that is what we did. In a certain valley in the Peak Park we must always take the ‘high track’, so aren’t able to explore some stones which I know would be of interest to Dylan but which lie below the track we have to follow. On other walks we aren’t able to join up the countryside in a creative way, moving from one route to another, because that isn’t allowed. This fixation on route is something which Dylan has demonstrated for years; even as a toddler he would cry if we drove home from the childminder’s the ‘wrong’ way. I have been trying a few strategies to help Dylan accept some variety in his walks. One is to park the car at the ‘end’ of a route, or in the middle of it, in the hope that joining a walk at a different point will loosen Dylan’s commitment to a specific route. Another thing I’ve been trying is walking contrariwise around a familiar route so that the landscape looks slightly different. I have also been building in some brand new walks (which is where the maps come in). This has gone down reasonably well although Dylan is often cross, initially, and resistant. I am careful about what happens when we try out a new walk because of the possibility that it will become another fixed route. I’ve noticed that it is the second visit to a place which seems to be crucial; it is at this point that Dylan will establish a walk as a routine. Conscious that I don’t want to lay down more fixed routes, I try to subtly alter the walk on the second visit so that Dylan acquires multiple new routes. On Christmas morning this year, when Dylan removed the map from my pile of things for the backpacks, he showed me that he understands perfectly well the function and purpose of a map. He also showed me that he knows what the implications are for him: that we will be heading somewhere unfamiliar, where he will not be able to take his bearings from the landscape. For Dylan this means that he can’t predict what is coming next. He can’t look forward to familiar landmarks and rituals. He has no idea whether it will include the opportunity to be by water or through trees (his favourite landscapes) or any ‘ups’ (his least favourite terrain). He doesn’t know whether there will be a pub mid-way or at the end of the walk (this is important to a young man who likes his pint of Blackcurrant and packet of crisps). Nor does he know how long the walk will take; whether or not we’re likely to pass other walkers; or if I’ll be relaxed enough to sing. My guess is that he realises there’ll be no singing: I’ll be too busy checking the map and worrying about whether or not I’m going the right way (because I don’t know what is ahead of us either so will feel vulnerable too). Dylan’s instinct was right once again: not a good formula for Christmas Day. 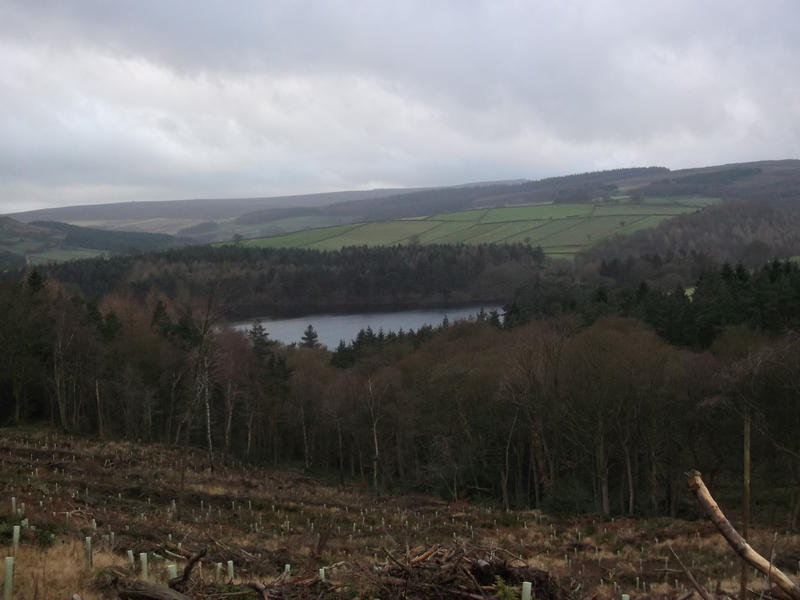 I put the map away and we drove, instead, to the Longshaw Estate then hiked up to Burbage through the forest path by Burbage Brook then over Higger Tor, where we had our Christmas picnic, and Carl Wark before descending to walk in Padley Gorge. I don’t think this is one of Dylan’s all-time favourite routes (he’s not keen on the ‘up’ and the area attracts too many people), but it’s familiar to him and has the benefit of variety in the landscape. But walking without a map can go wrong even in familiar landscape. On Christmas Day in 2010, after our picnic by Agden reservoir, Dylan and I set off to hike up to a village with a pub which we like. At the top of a wood we rounded a bend to be met by a strangely unfamiliar landscape. Since we had last walked there, an entire plantation had been logged, transforming the countryside. With the covering of snow, I was completely disoriented, unable to get my bearings and at a loss as to where the footpath we usually took might be. I made several false starts across the bare hill, but aborted each time, lacking confidence in my judgement. I realised my only option was to ask Dylan to lead. The logged plantation, a year later. I occasionally do this if I lose track of where I am. Dylan almost always takes us confidently and without error to where we need to be; the only time this goes wrong is if he leads us, instead, to where he wants to be (a cake shop for example). But out on a Derbyshire hillside, on Christmas afternoon with the day on the turn, I knew that Dylan knew as well as I did that the only place to get to from where we were was the Old Horns. Today, though, Dylan paused. When he did head off, on a left fork northward, it was hesitantly. The land didn’t feel right beneath my boots. I alternated between hurrying (in the hope I would find something I recognised round the next bend) and dragging (as if to turn back). We were, indeed, walking the wrong way that day. Fortunately we met a family out walking who were able to re-direct us and, happily, we ended the afternoon with a pint in the pub. I told myself that some of the best days are lived without a map, but the experience made me realise that local knowledge is not infallible. More importantly I realised that Dylan’s usually excellent sense of direction isn’t wizardry or divined in the heavens like a mariner; it’s visual and based on the geological features and landmarks which he notices as we walk. Such features are generally dependable and predictable. They stay where they are and change only slowly. They don’t run away from you or give you the slip (like words can). Mostly anyway – barring Acts of God and lumberjacks. Dylan has responded to landscape since he was very young, not just in the sense of being aware of it, but by taking comfort in it. This is true of nature in general but familiar landscape, in particular, seems to be capable of healing him when he is anxious. The following poem (from my second collection, The Bat Detector) records an incident when Dylan was still quite young, perhaps two or three years old. 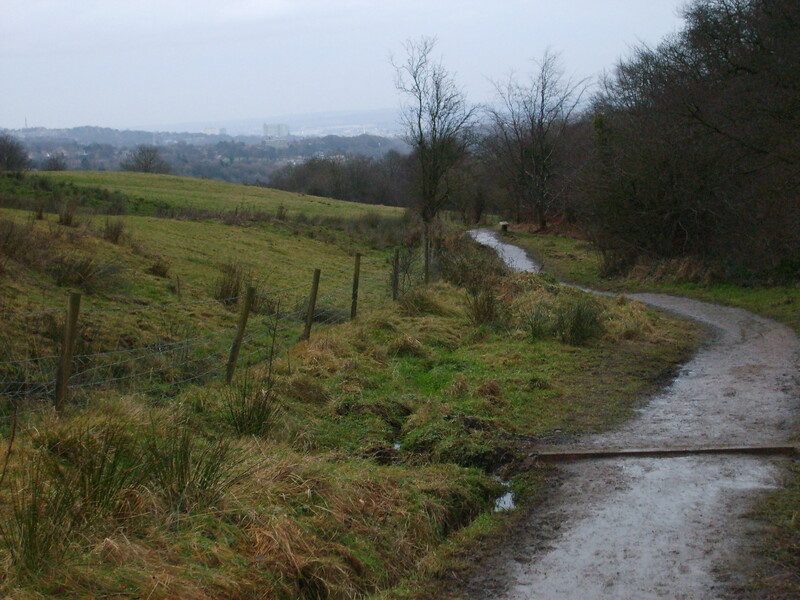 At that point we hadn’t established fixed routes for walking or realised their potential significance. However, the poem illustrates me starting to learn these things. In the poem I describe the healing which Dylan receives from a walk after a week of disruption at home. At the end of the walk, however, my own sense of order is disturbed when we find our car has been broken into. Through this petty theft, I am given a window into the way Dylan might have been feeling during that week. his life bound by structure and routine. into the familiar, constant hills. rooted and soothed by the certain wood. blue berries to flap around his head. secrete them in my pocket. dig a clump of heather from the healing ground. glass crumbling like crushed ice around a jagging hole. Christmas is also, of course, disruptive of our routines. You don’t need to be autistic to find this time of year difficult: small children; unhappy couples; the recently-bereaved and the alone and lonely can all, in their different ways, find the lack of structure and routine challenging. As another Christmas passes I am thankful, again, for nature’s gift to Dylan and for the routes through it he has learned without a map, truly by heart. Do (Autistic) Children Believe In Father Christmas? 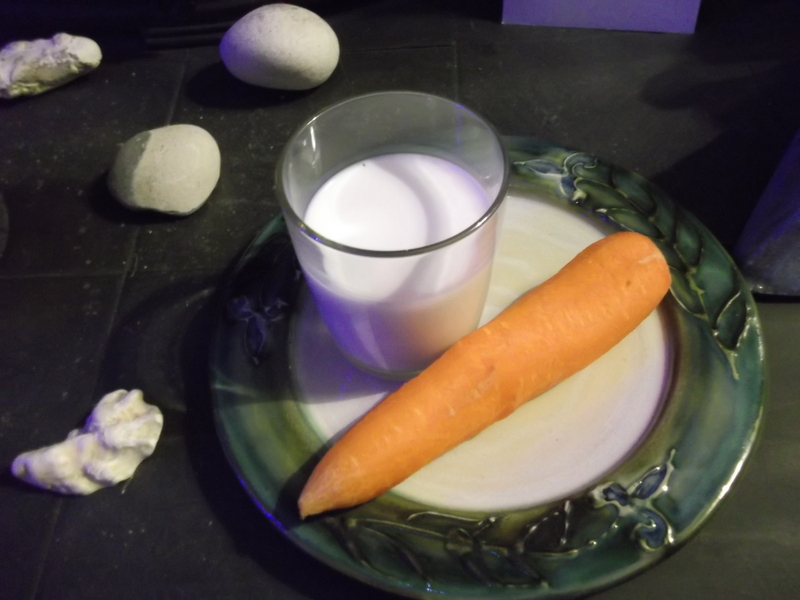 My sister and I stayed up one Christmas Eve to catch Father Christmas. We must have been young enough for him to be plausible (I was six, perhaps, and my sister nine) and although I suspect my sister was already questioning the Santa story, I still believed in reindeer and sleighs. We shared a room so it was easy to discuss strategy. Although the plan was that we would stay awake, I fell asleep. I was woken in the night by my sister shaking me. It was very cold and the house was silent. My sister was whispering to me to get up out of bed. She had heard something, she told me. She thought he might have been. I remember that I was anxious. I wasn’t sure that I wanted to catch Father Christmas after all. My sister led me downstairs, shushing me and reminding me about the creaky stair. 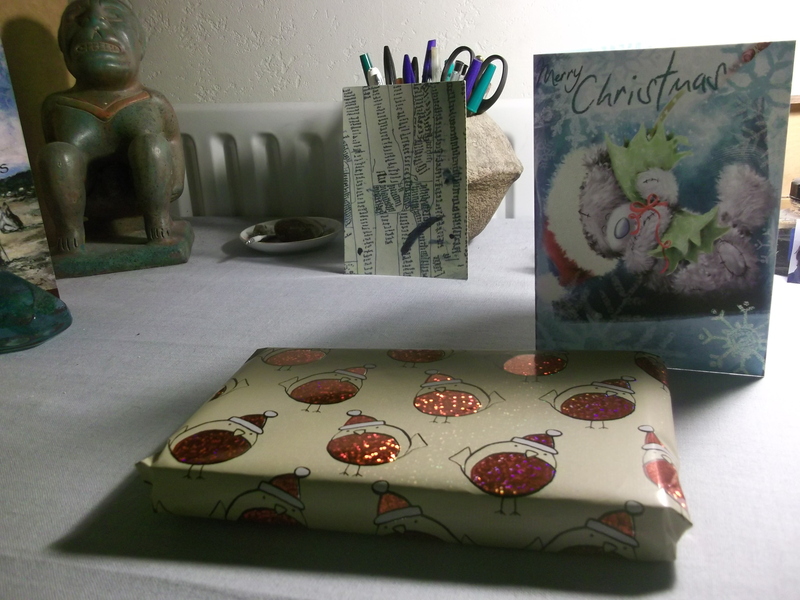 Although there was no sign of him, Father Christmas had indeed been; a ‘big present’ had been left beside our pillow cases, which had been filled with small presents. I don’t know who it was suggested that it wouldn’t hurt to open ‘just one’ , although I think we both knew that we ought not to. And I don’t know how it happened that at some point one of us went to fetch our younger brother. Whoever it was, they must have been very quiet and remembered that creaky stair. It was just breaking dawn when I realised, with an empty feeling, that I didn’t have any parcels left to open. I recall that Christmas as probably the unhappiest of my life. I can still remember the look on mum’s face when she came downstairs and saw the wrapping paper strewn across the floor. My sister and I knew that it had been wrong not to wait until morning for our presents but didn’t realise how important it was that our parents should witness us unwrapping the gifts. I didn’t understand why mum was so upset or why everything about Christmas felt so miserable that year. I was too young to understand that my parents had worked and saved to buy us presents. I thought they were from Father Christmas. I realised that Christmas that my parents were disappointed, but my belief in Santa survived the incident intact. It must have been the following Christmas, or maybe the one after, that my belief in him was shaken. That year I was opening the presents from my pillow case with mum at my side, watching on. As a child, my only interest was dolls. I had seven which I acted out narratives with all my waking hours. The dolls were real as family to me. My granddad made furniture for my seven dolls and, until I could knit and sew myself, mum and grandma were responsible for making them clothes. The clothes were ‘made to order’. I found pictures of outfits I liked and ordered adaptations for my dolls. Mum somehow found the time to produce my doll clothes as well as look after the three of us. The clothes mum and grandma made never disappointed. However this particular year they were responsible for shaking my belief in Father Christmas. Unwrapping my pillow case presents I exclaimed with delight to discover an outfit I had particularly coveted. I can still visualise apricot wool with ribbon at the neck, though I don’t remember which doll it was for. Mum was watching me for a reaction. She need not have worried; it was my best present and better than whatever ‘big’ present I had been given that year. I didn’t thank her though. Instead I told her (thinking that she’d be pleased) that she didn’t need to make it for me after all. Look! Father Christmas had known exactly what I wanted. Adults can disappoint children just as children can disappoint adults. Mum could have left it there, glad that I was happy with the present and happy to nurse her secret. But she didn’t. She said: Your grandma made that for you Elizabeth. You can thank her later when she comes. My grandma? How did a present from her get into my pillow case? Why didn’t she just give me the present when she came for lunch? But I thought the presents in my pillow case were from Father Christmas I said. Some of the presents were from family, mum told me. This was news to me. Which ones were from family? And how did they get in the pillow case? Did Santa bring them on his sleigh? How did he get them? Nothing added up. I didn’t tell mum, but I didn’t believe in Father Christmas after that. I didn’t fully appreciate the pleasure of giving until I had children of my own. Once I realised how much I wanted to delight my children (and to witness their pleasure) I understood how disappointed my parents must have been the year we opened our presents without them. I learned this lesson with my heart as well as head because by then I had a child who rarely showed any interest in presents. Giving and receiving gifts can be a challenge for some autistic children. 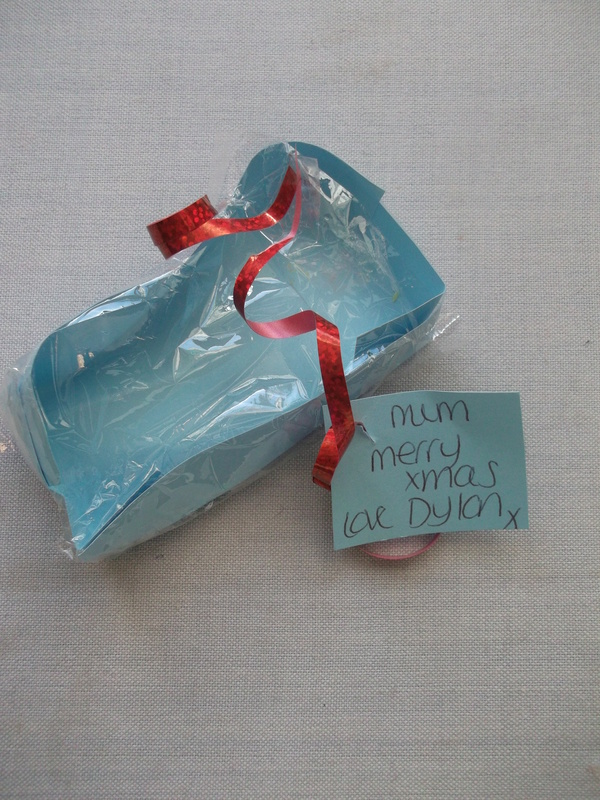 For years Dylan showed no interest in presents and the gifts he received would remain untouched. He would run screaming from the room at the suggestion he might unwrap a gift, arm clamped over his head to cover his ears. Eventually we would try to help Dylan to unwrap his gifts, hand on hand. I remember that he would often have his head turned away while we tried to help him remove the wrappings, as if not wanting anything to do with the present. Looking back I can see that we were doing a lot of things wrong. I don’t think we realised quite how difficult Christmas can be for an autistic child. Now I understand that the sounds, lights and smells of Christmas must have created terrible sensory overload for him. The disruption in routines, especially around meal times and the arrival of visitors, must have been very difficult. And on top of that we were making demands on Dylan to be present and to interact with us (i.e. to unwrap a gift and show some interest in it). At some point there was a development in Dylan’s response to the gifts he was given; instead of not showing any inclination to open them, he would unwrap them at high speed without looking at the presents. In increasingly record time, Dylan tore through his parcels each year while I desperately tried to make a note of who had given what to him so that I could thank them. 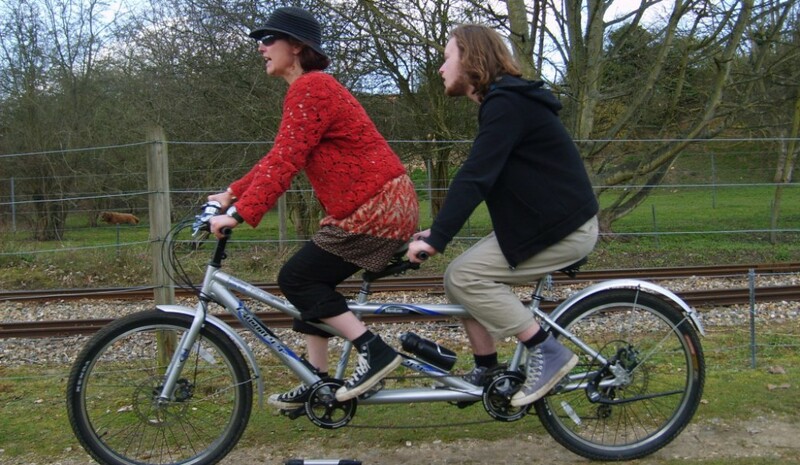 It was as if Dylan had understood what was expected of him, but wanted to reduce the amount of time spent on the activity to a minimum. Anyone present at this high speed unwrapping might have been disappointed by Dylan’s apparent lack of interest in their carefully-chosen gift. However, Dylan would return to some of them in his own time. I can’t remember being disappointed by these experiences but I’m sure that I must have been. It’s natural for parents to want to see their children happy at Christmas and Dylan’s unhappiness and non-participation must have made me sad. My mum, though, was marvellous: the woman who had been so upset with her own children for unwrapping their presents early was now a model of patience. I am glad that as well as showing parental disappointment to me when I was a child she was able to show me parental acceptance when I became a mother. Over the years I have adjusted the way we spend the holiday so that it is low arousal and Dylan-friendly. Dylan enjoys Christmas now. He still waits until the end of the day to open his presents but he unwraps them himself and at a reasonable speed. He responds to his gifts, however, without reference to the social conventions of giving and receiving. Dylan’s reaction to a present is straightforward. If he’s interested in it he might hold on to it or take it to his room. Items he isn’t interested in will be dropped or passed to me. Dylan responds to the gift rather than to the giver. Dylan doesn’t mean to be rude by not acknowledging or appreciating a gift. Because he is incapable of deceit he isn’t able to feign thanks or pleasure. All this means is that we get a more authentic response from Dylan than from the other people we give gifts to (some of whom probably don’t like our gifts much either). I find the emotional honesty of autism and the authenticity of Dylan’s response to others refreshing. Although Dylan now understands that he will be given presents to open at Christmas, he hasn’t yet grasped the idea of exchanging gifts. Dylan is a generous person who shares things voluntarily with his sister and me. However, the practice of giving gifts at Christmas seems to be very difficult for him. Although I have involved Dylan in selecting, wrapping and giving to carers, friends and members of the family for many years, he continues to have difficulty with this. Last week he unwrapped presents I had sent in his respite bag for his carers, and he wanted to bring them home again when I collected him. Earlier in the week I found the evidence in his bedroom of a present which he had apparently made for me but which never reached me (it was edible). So in terms of the giving of gifts, we still have some way to go. Much of Dylan’s knowledge about Christmas comes from his children’s books and the Christmas films he watches. Santa is ubiquitous and I’ve wondered whether Dylan’s difficulty with giving gifts is because the only concept he has fully developed in relation to Christmas so far is that of Santa – and there is nothing in the Santa story about children giving presents to adults. Also, because of his learning disability Dylan is functioning at around 5.5 years old cognitively; I’m not sure that I understood the concept of giving at that age. I’m pretty sure Dylan believes in Father Christmas and that his autism and learning disability are responsible for maintaining this belief beyond his chronological age. So this year, once again, I’ll be celebrating Christmas with Dylan and Santa. One of Dylan’s big passions is Polar Express. He adores the protagonist in the story, who he calls ‘boy’, and is particularly interested in boy’s dressing gown. Dylan has never had a dressing gown before but I’ve decided that this year it will be his ‘big’ present from Father Christmas. It occurred to me that I should try and match this as closely to the Polar Express character as I could, so I took a photo with me last week to shop for a dressing gown and slippers for Dylan. I think the dressing gown I bought is a pretty good match. I’ve no idea whether it will get dumped on the floor when the wrappings come off or if Dylan will want me to help him on with it straight away. If Dylan likes the present then it will deepen his appreciation of Santa rather than his mother and that’s fine by me. My only worry is that if Santa has matched the dressing gown too perfectly, Dylan might be looking out of the window all night, waiting for the Polar Express to stop outside our house. And if Dylan is disappointed – well Santa will just have to try harder next year. ‘Happy St Nicholas Day’ I said to an Erasmus student as we finished up class the other week. It was 6th December and as she is German I guessed she would be celebrating. 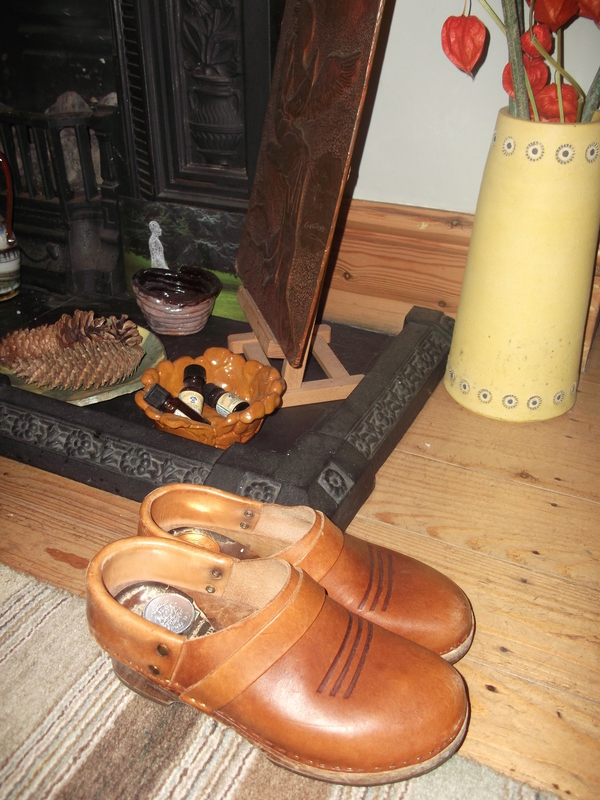 Leaving clogs out overnight for St Nicholas to put chocolate coins in is something I’ve done with my children for years. We observe a number of rituals through the Advent season which have different meanings for each of us and which I think help Dylan along the route to Christmas. The first sign for Dylan that Christmas is coming is the day I fetch our Advent calendar from the cellar. 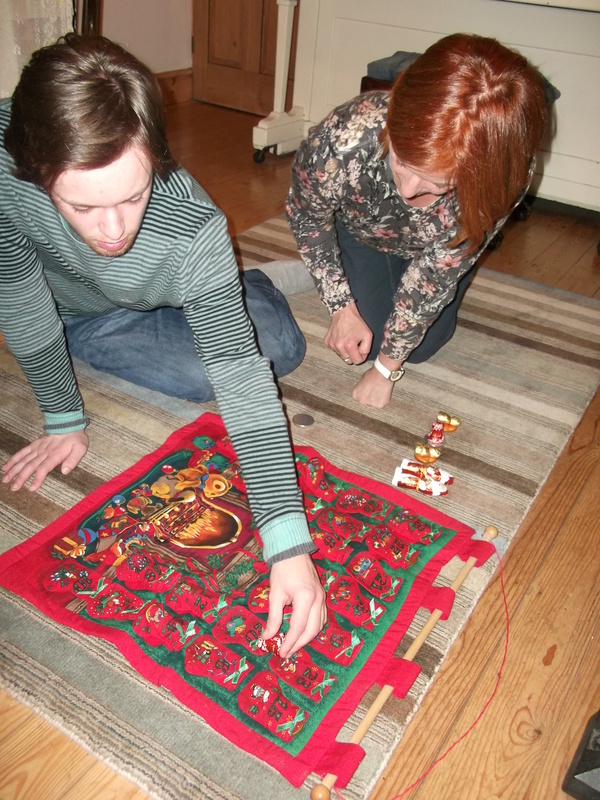 We have had the cloth calendar since Dylan was a toddler so it’s a familiar object to him. Counting out chocolate coins or gingerbread stars and filling the pockets is an activity he recognises and knows will be followed by other seasonal routines. 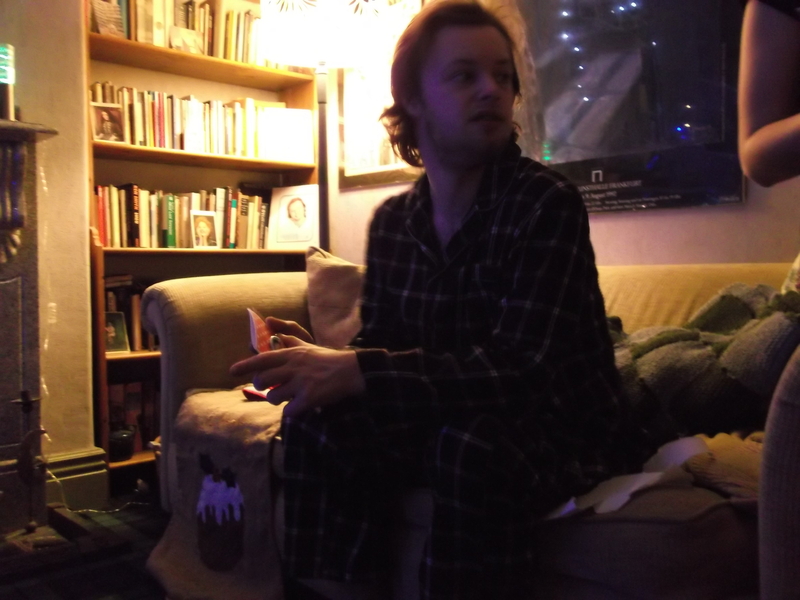 After the calendar is in place and St Nicholas has visited, Dylan plays his Christmas DVDs. He borrows ‘The Snowman’ on his weekly trip to the library instead of ‘Thomas the Tank Engine’. With uncanny accuracy, he predicts the day for decorating the tree, baking the vanilla kipferl and lighting candles. But Christmas has not always been so easily prepared and waited for. When he was younger the presence of the calendar was agony for Dylan. I was determined to keep the practice (one that I’d enjoyed as a child) for my daughter and step-daughter. Each year the girls carefully worked out the rotation of pockets and who got which, depending on the pattern of my step-daughter visiting and Dylan being in respite. This was complicated maths and diary work and the girls pored over it together each year to ensure the distribution of advent sweets was fair and equitable. Imagine their distress, then, the year that Dylan woke up early, went downstairs, and ate all the chocolates from the carefully-planned pockets. For the next few years we hung the calendar in a high place and lifted the children up when it was their turn. And during those years we worked hard on ‘waiting’ and on ‘asking’ until we were fairly certain that Dylan wouldn’t raid the calendar overnight. 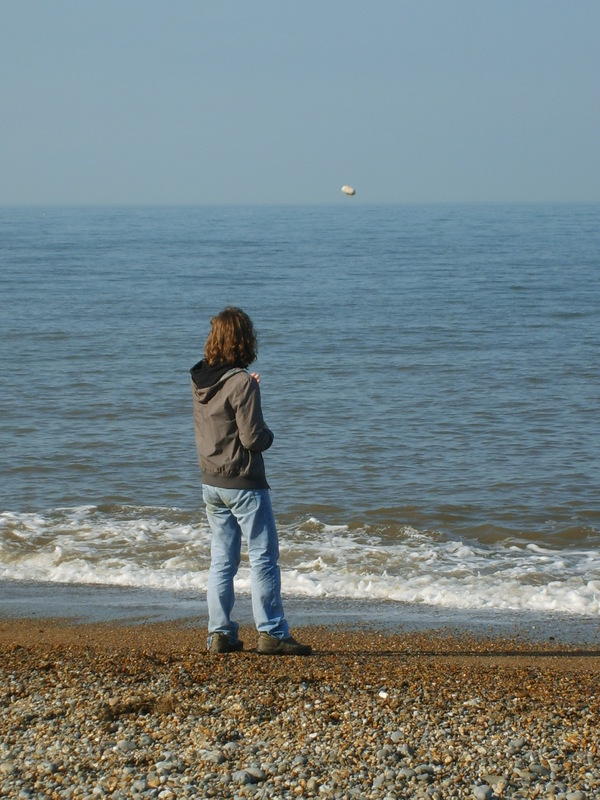 Dylan is 19 now and it has taken years of rehearsing these rituals for him to develop the practice of waiting. And waiting and preparation are what Advent is about; during this time we are readying ourselves and our homes. Whether or not we approach Christmas from a Christian perspective, the process of waiting and the act of receiving are at the heart of the season. Neither of these concepts is easy if you are autistic – and if you are an autistic child, waiting is likely to be extremely difficult. Why? I sometimes ask myself. Why is waiting so hard? ‘Impatience is a virtue’ a student emailed me, trying to justify her request that I let her know her results early. And why, indeed, should we assume the opposite? All sorts of things can go wrong if you make yourself wait. And while this student’s results weren’t going to change, some things are spoiled while we are being patient: figs over-ripen; films close; friends change their mind. 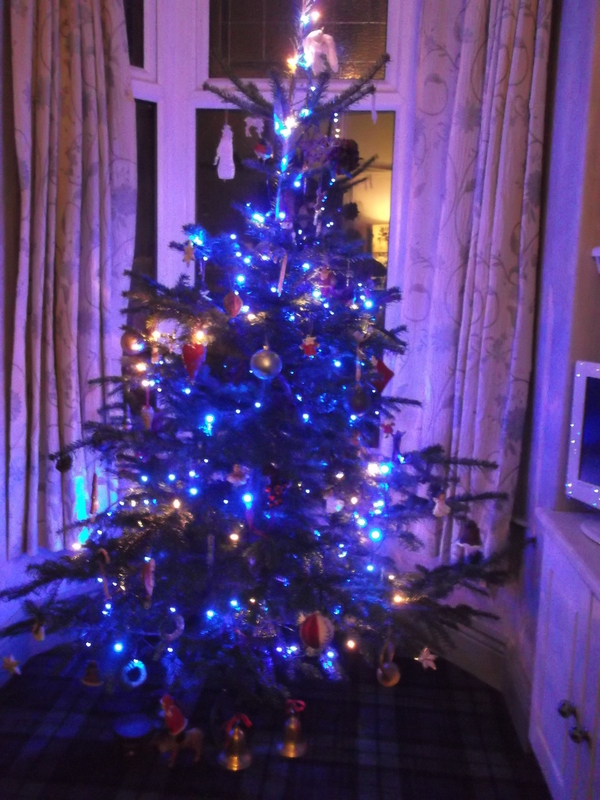 We have a tradition of celebrating winter solstice by waiting until the shortest day of the year to put up the tree. This is my tradition rather than a shared practice; in fact I am against the grain as in recent years people in my neighbourhood have been putting their trees up earlier and earlier. Once my children were old enough to notice and care, my solstice tree tradition became an irritation to my daughter and a frustration for Dylan; everyone else, it seemed, had their tree up already. 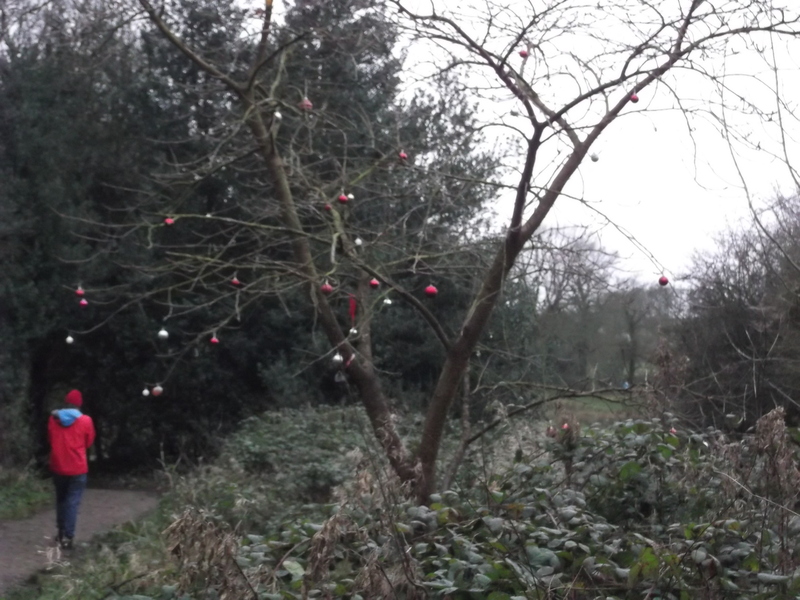 I doggedly held on to our tree ceremony until the year came when there were fewer trees available for some reason and by the time we went to get ours there were none to be had. Eventually a trader led us to his underground garage to show us a tree that someone had returned, complaining that it was an unattractive shape and lacked branches. It was late in the day and we were out of options: we spent the Christmas holiday trying to work miracles with lametta and lamenting the tree’s thinness. ‘I don’t know why we always have to wait’ my daughter complained, ‘it’s ridiculous’. Perhaps it is ridiculous to insist on waiting. How many times are we let down by something which turns out not to be worth the wait? Perhaps by not waiting you can avoid disappointment; if there is no anticipation there can be no anti-climax. Is this the world that Dylan inhabits perhaps? A world without anticipation but without disappointment either? A friend told me that a neighbour had once said to her: ‘walking into your house is like walking into the present tense’. I was intrigued by this. Presumably she meant the house was busy with activity in-itself and of the moment. Walking into Dylan’s room is a bit like walking into a loop-tense of past, present and future: the case of the DVD he is currently watching in its place, with the previous and next DVDs lined up in their places. This physical ordering of the past, present and future means that there is a sense in which it is all happening simultaneously for Dylan. The Amondawa in Brazil lack an abstract concept of time in that they do not map events onto a space continuum. Because time-space mapping is not part of the culture, their linguistic structures don’t reference time: ‘working through the night’, ‘after Wednesday’, ‘in a while’ or ‘at Christmas’ would be constructs without meaning to the Amondawa. As they age the Amondawa assume different names to reflect their changing role in the community rather than describe themselves, as we do, in relation to time; a lovely idea, a bit like hermit crabs adopting ever-larger shells. Dylan would be comfortable, I think, with the Amondawa. For years at school he has encountered ‘days of the week’ and visual calendars, but he still struggles with the concept of sequencing of events, particularly if they take place over a period of days. ‘One sleep’ I say to him when he goes to respite, but I’m not sure what sense he makes of this; time-space mapping isn’t really part of his world. If the future is an uncertain concept, then the idea of waiting for it must be very challenging. So if I ask Dylan to wait for something I try to make sure it happens as promised so that he receives reinforcement for waiting. The reward, however, is not always what Dylan expects; when the bus I ask him to wait for turns up, it may be the wrong one. Perhaps, for Dylan, it is this quality of the unexpected which makes the future less desirable than the now. If learning how to wait is helping Dylan to understand the concept of future time then perhaps part of this requires him to experience the unexpected as well as the predictable. Yesterday, at work, I found a Christmas present which somebody had left for me. It’s on my desk as I type and I’m wondering whether I ought to hide it before Dylan comes back from respite. If he sees a present he might think it’s Christmas this weekend and he’ll probably assume it’s for him. For the moment, while Dylan’s away, I’m enjoying my unopened gift. The ex-student who left it for me has emailed that she wouldn’t be able to save it, but I’m savouring the anticipation of opening it and enjoying the thought that she remembered me. And it occurs to me that these are the qualities of waiting that I’ve come to appreciate most: the unexpected blessings and possibilities which tomorrow may bring. Now the clocks have gone back an hour for the end of British Summer Time it’s dark when Dylan gets home from his day care centre. Last week I pointed to the early evening moon and commented to him on the changing light. I don’t need to tell Dylan that winter is on its way though; he’s acutely aware of the passing seasons and is probably already anticipating the rhythm and ritual of the solstice season. Although Dylan isn’t very verbal and has a learning disability he has a system for measuring the passage of time. Dylan’s DVDs are matched to days of the week: Thursday is Lion King, Friday is Polar Express, Saturday morning is Earthsea. Thus Dylan counts the days and predicts what is coming next. The system isn’t without its challenges: how to build new films into an already-packed schedule, for example, and the management of this elaborate arrangement during holidays when routines collapse. Nonetheless, Dylan’s approach is pretty effective. As well as counting days of the week Dylan has an uncanny feel for the hour of day. I could virtually set the clocks by him. If we are at home during the day Dylan always comes to find me at 2.30, when he likes to walk, and in the evenings he asks me to help him get ready for bed at precisely the same time. Some of Dylan’s perfect timing no doubt arises from the routine and structure of his days, but there is more to it than this I think. above his head, lifts his face to the light. then the spread cross of his empty hands. His face is rapture. The water shouts Hossannah. as I kneel under the corona’s display. and I am best that I can be, here, beneath the sun’s display. Nature is loved by what is best in us. It is loved as the city of God, although, or rather because there is no citizen. The sunset is unlike anything that is underneath it. It wants man. Dylan, I think, loves nature as the ‘city of God’. His relationship with the sun, though, is conducted through glass as well as the outdoors. 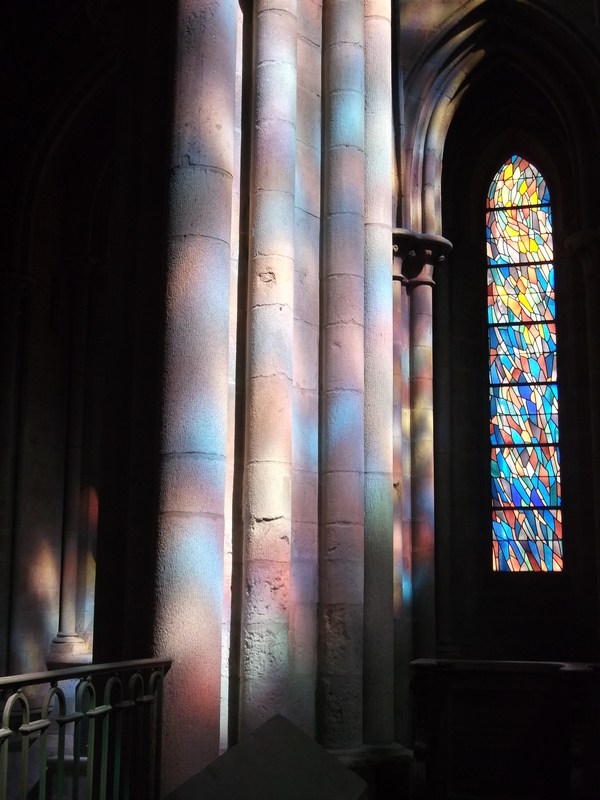 For Dylan, one of the best places to observe light through glass is a cathedral or church, so while we are not church-goers, we are regular church-visitors. If we pass a church while we are out Dylan always wants to go inside, and when we go on trips and holidays it invariably involves a cathedral visit. On a number of occasions Dylan has been so affected by the manifestation of light through stained glass that he has appeared to enter a trance-like state. 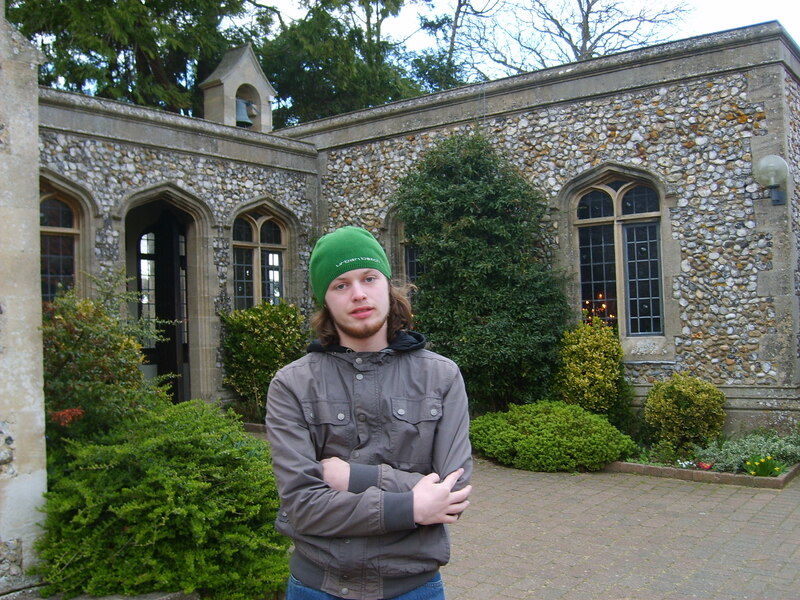 On a visit to Walsingham, Dylan became so absorbed by his experience that we struggled to get him out of the church. I often think that at the heart of these experiences is light. Perhaps if the world you inhabit is silent the impact of weather and light on the senses is profound. The ‘effect of greatness upon the feelings’ which Ruskin found in nature, and referred to as ‘The Sublime’, may be great indeed if, like Dylan, you do not speak. In the 13th and 14th centuries, orthodox Christians developed an approach to devotional worship based on the practice of silence which was known as ‘hesychasm’. While mystics had always been attracted by light as a metaphor, Hesychasm emphasised its role in the transfiguration. Gregory Palamas, one of the monks on Athos and an exponent of Hesychasm, believed that through Hesychastic prayer it was possible to reach a vision of ‘divine light’. In this, MacCulloch explains, Gregory was referring to the moment on Mount Tabor when Jesus’ disciples saw that his face ‘shone like the sun’ (MacCulloch, p.111). Who knows what visions Dylan may have had. 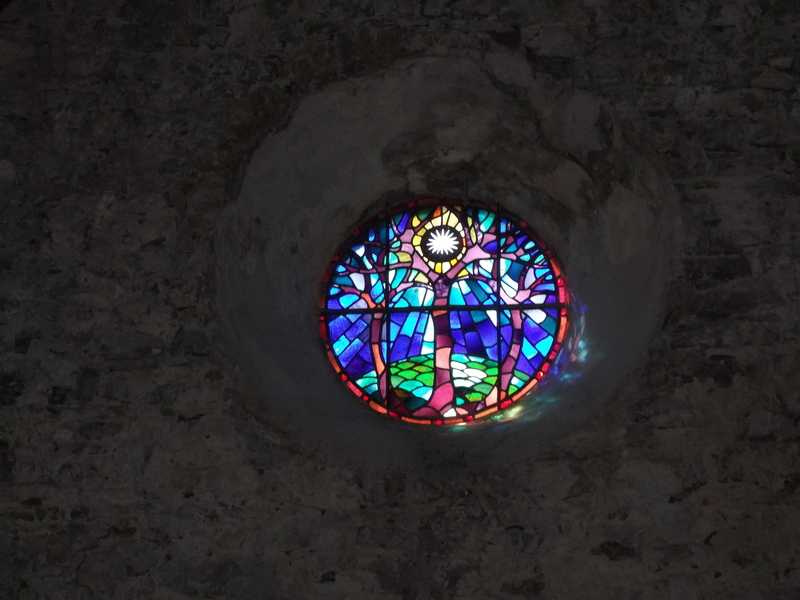 The photographs of light through cathedral windows are from some of our recent visits to churches and cathedrals in Kent, the Isle of Wight, Caldey Island, Wensleydale, St Malo and Carlisle. 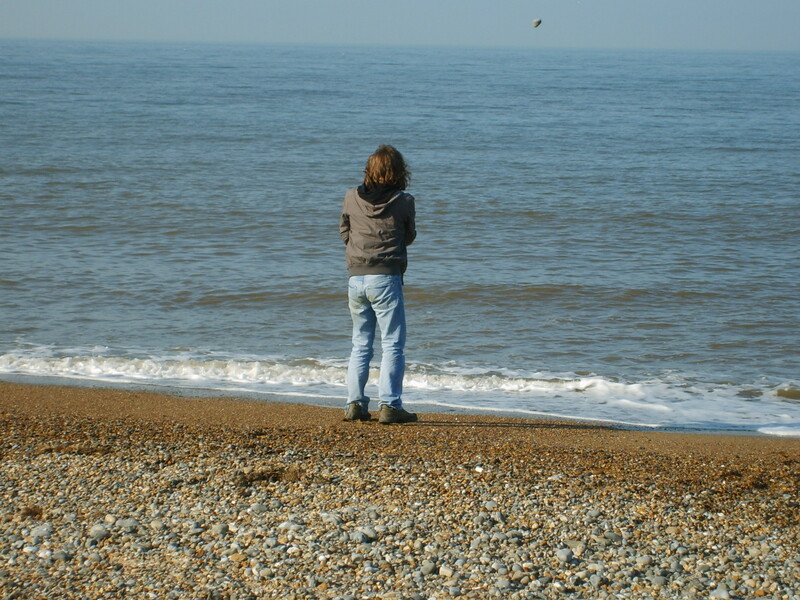 The photographs of Dylan were taken on the Norfolk Coast and at Walsingham (Easter 2010).